Goodwill, sometimes purchased but often more significantly internally generated, is the major constituent of the value of many listed companies. Accounting aims to provide users of financial statements with useful information, and more than fifty current International Financial Reporting Standards prescribe accounting disclosure requirements in minute detail. However, these Standards dismiss internally generated goodwill with a single brief provision that it is not to be brought to account at all. The impairment regime now laid down for dealing with purchased goodwill contains severe flaws, while previous methods have also been found to be unsatisfactory. 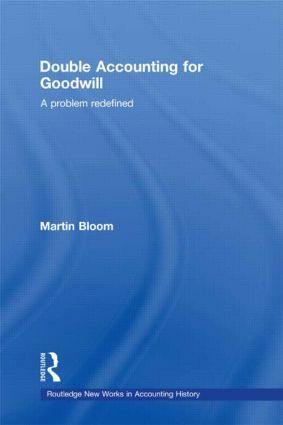 This book traces the history of the goodwill accounting controversy in detail and demonstrates that it has been a prime example of an issue ‘conceived in a way that it is in principle unsolvable’. It explores the problem of recognising the importance of goodwill as a whole and finding a way of presenting meaningful information regarding it in the context of the financial statements. The author’s proposed solution builds upon research undertaken and uses a Market Capitalization Statement, based on a modification of nineteenth century ‘double accounting’ in a modern context. Examples show that the proposed Market Capitalization Statement has the potential to provide significant information not currently available form conventional financial statements, which in turn are freed to present clearer information.